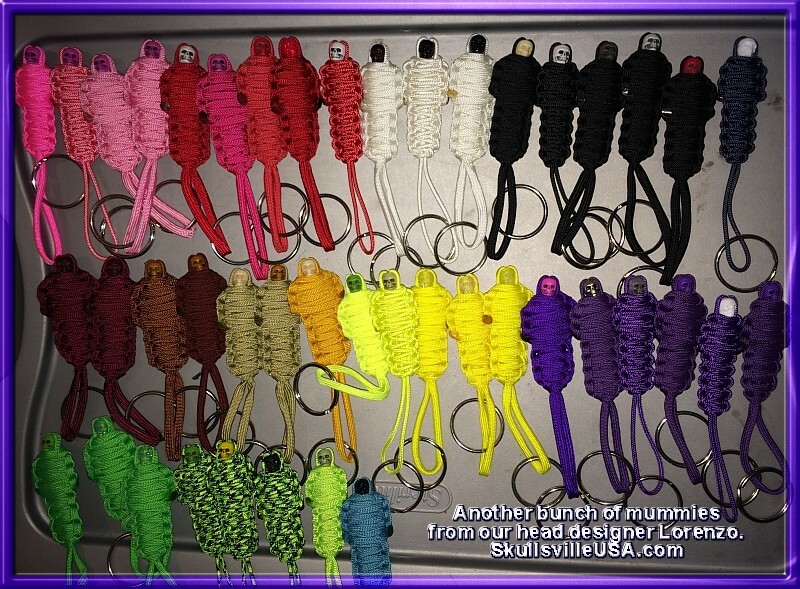 You have so many options when creating with paracord! 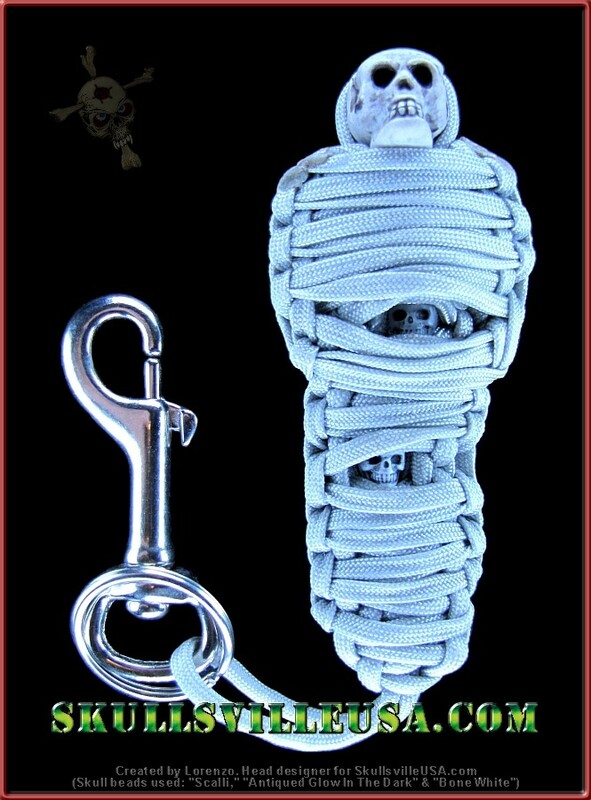 Once you learn a few simple knots, you're on your way. Get bitten! 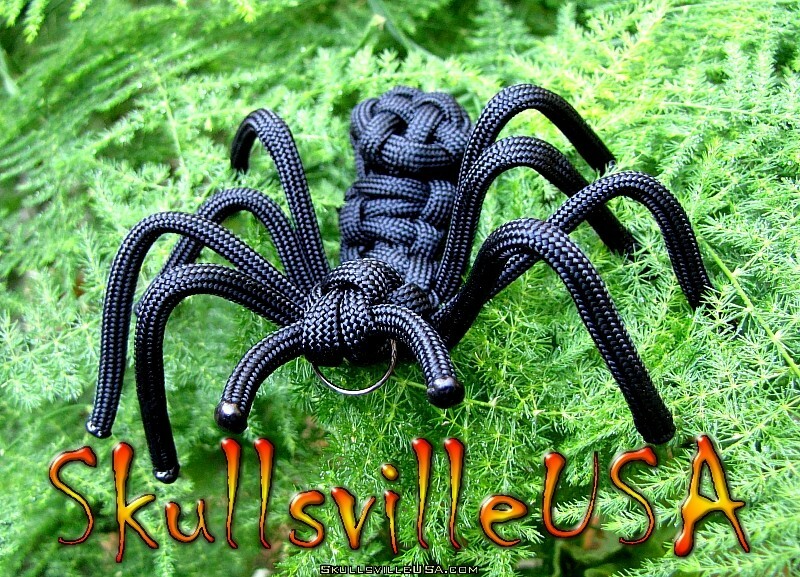 By the paracord bug that is! Making these bugs can be dangerous! 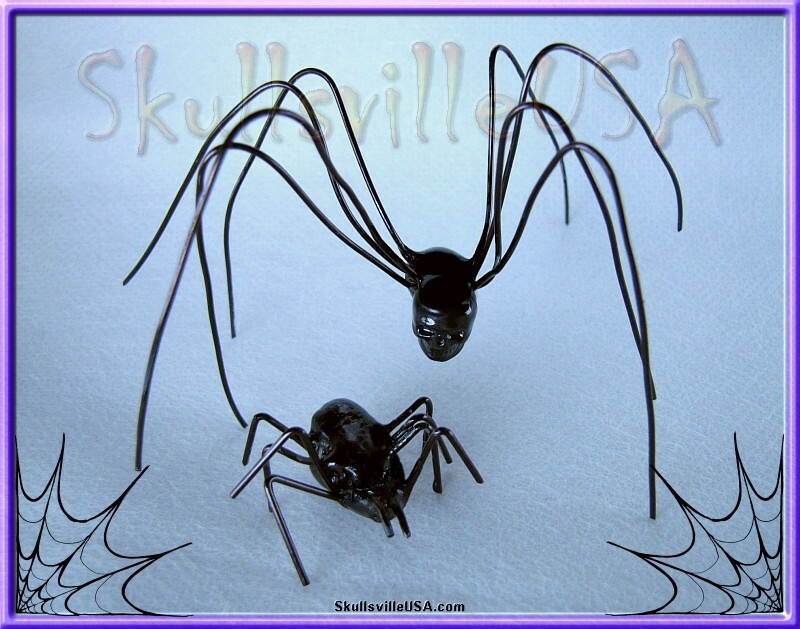 Paper clips or just about any wire will work. If you try this, be careful! 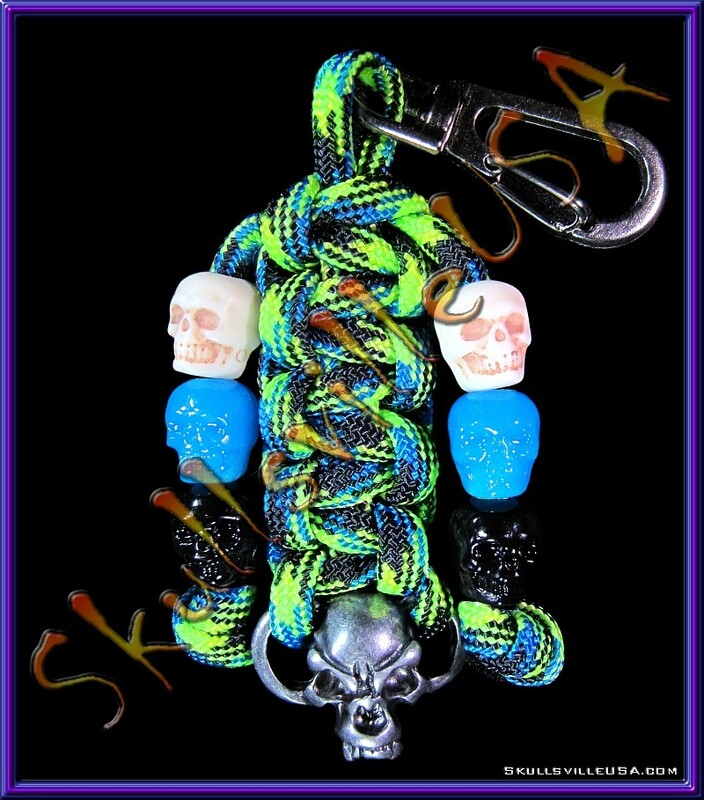 The melted paracord is HOT! Also be sure to work in a well ventilated area or outside! 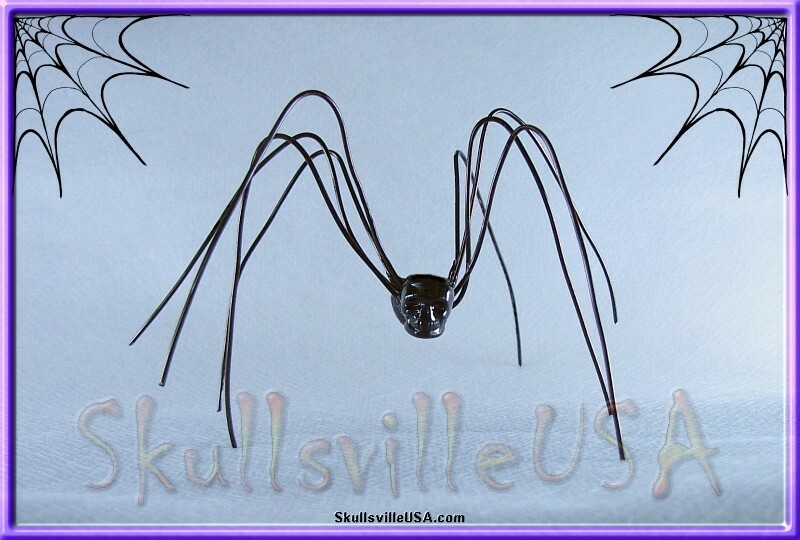 The spider was made with one of our Black Raven Acrylic Skull Beads. and more melted paracord was dripped around it to hold it securely in place. 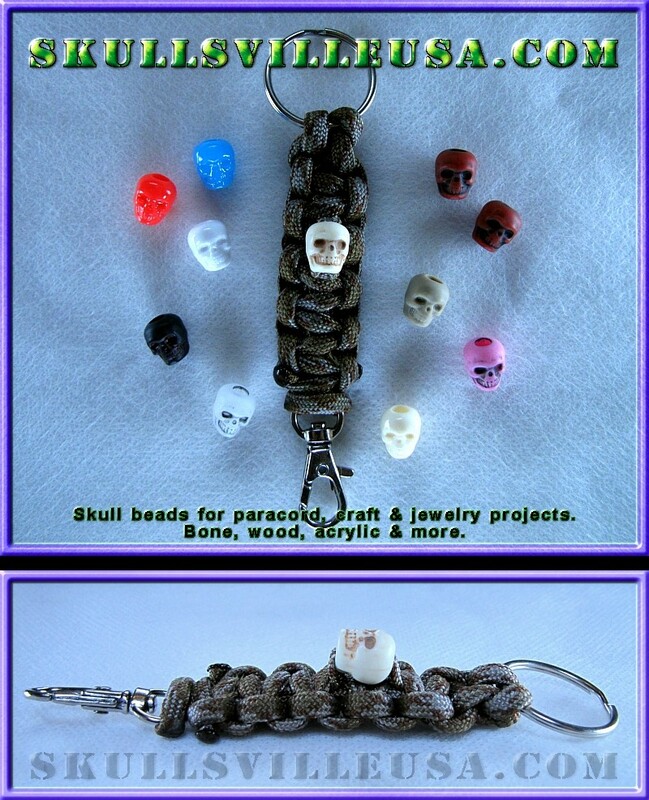 Bead is attached with short piece of gutted paracord woven into the key chain. and the center piece was made with 275 paracord. or just to have sitting around your computer. The video below outlines how to put one together. Get creative and adjust to your liking. The hair on this little guy was brushed out using a wire brush. The longer the hair, the more difficult it is to do this. First fray the hair and then brush it out. For the best outcome, take your time! Work slowly! 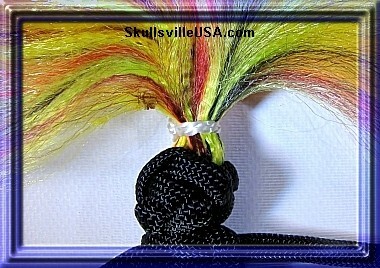 Two strands of paracord were used instead of just one, and an inner strand was use to tie his hair together after brushing. 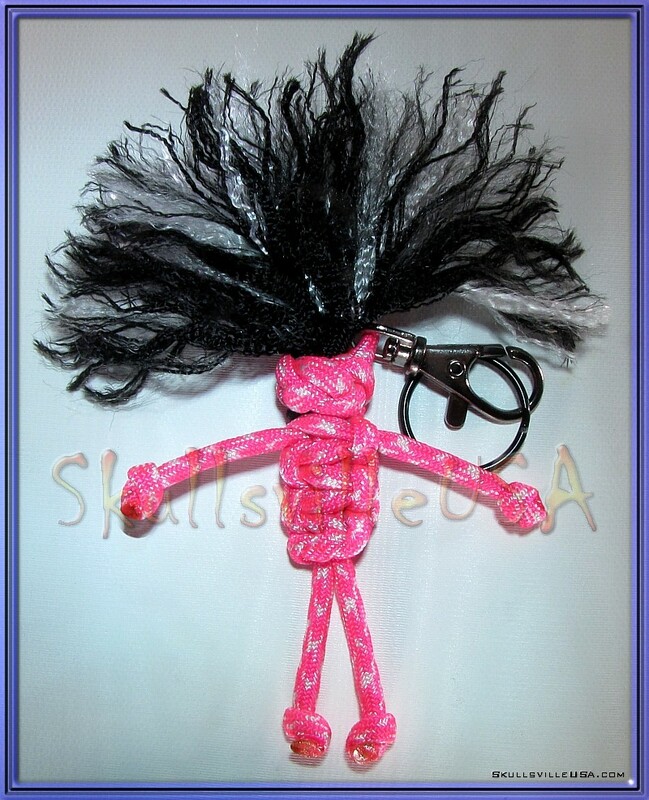 There's a lot you can do to customize the personality of your Voodoo Dolls. 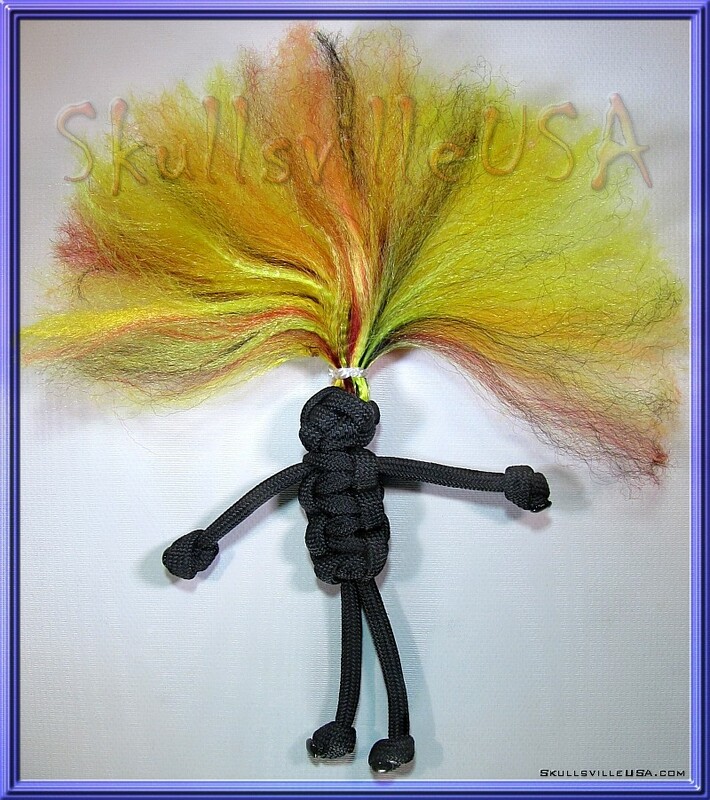 → Add two strands for hair instead of one for a hairier Voodoo Doll. → Leave the inner stands in for a grey hair effect. → Play with the hair length making some with long hair and some with short hair. 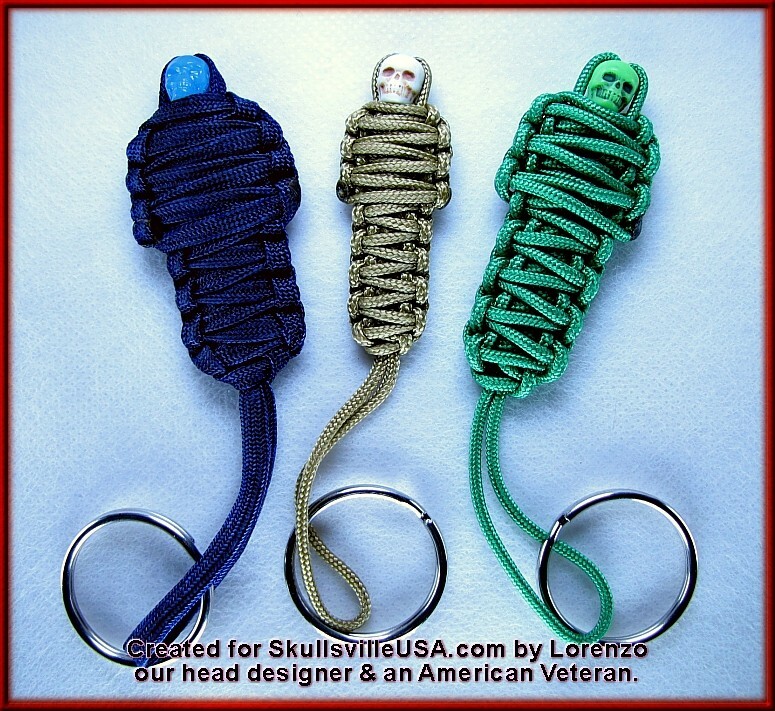 → Make some with knots for hands and feet and others without. → You can even double up the body to create a chubbier entity. 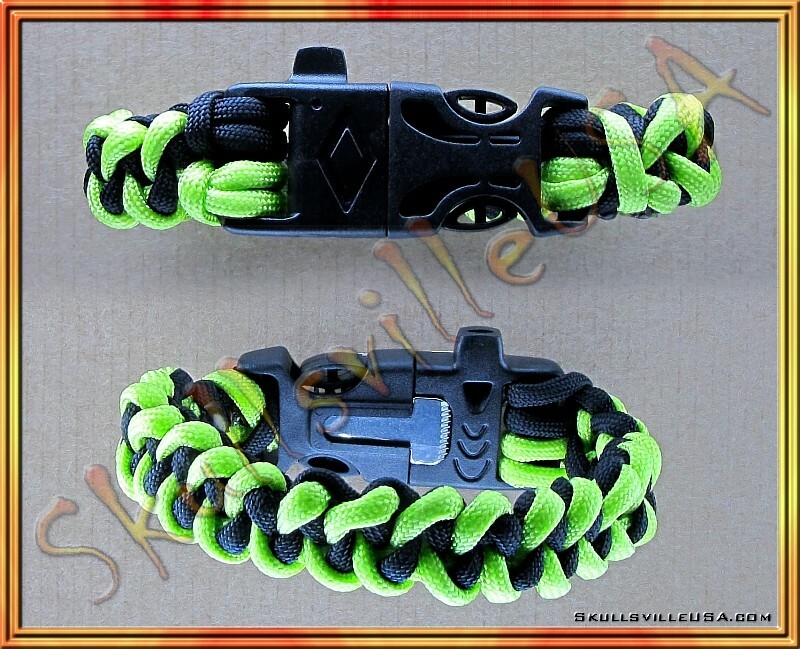 Another fun item to make with paracord. 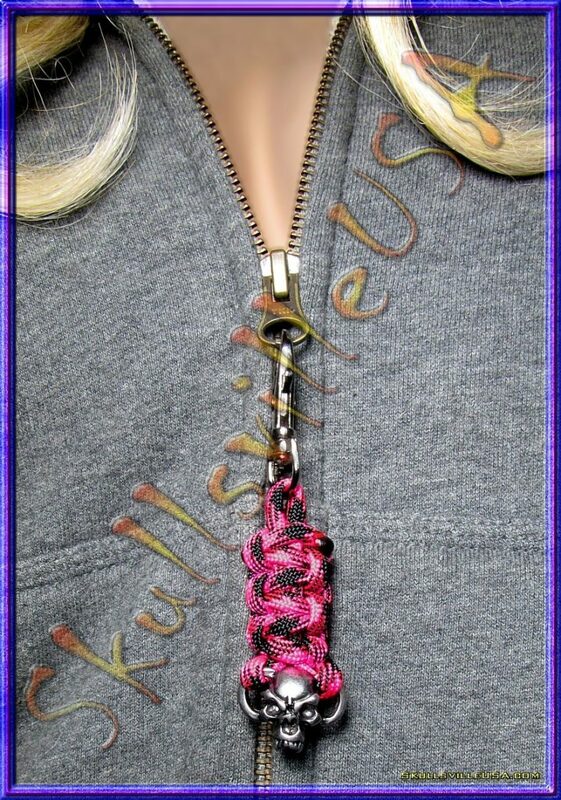 Turn them into key chains, necklaces, zipper pulls and more! 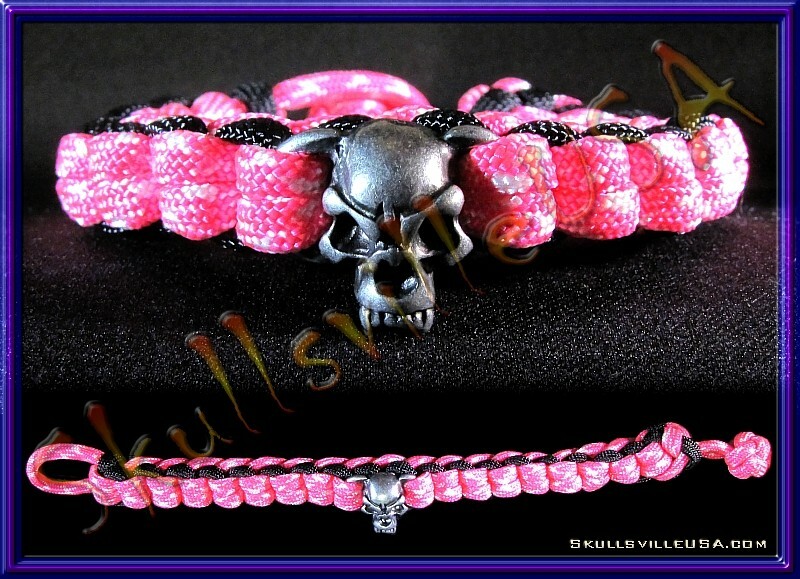 This one was made using our "Crypt Keeper" Skull Beads. display the striker on the outside. 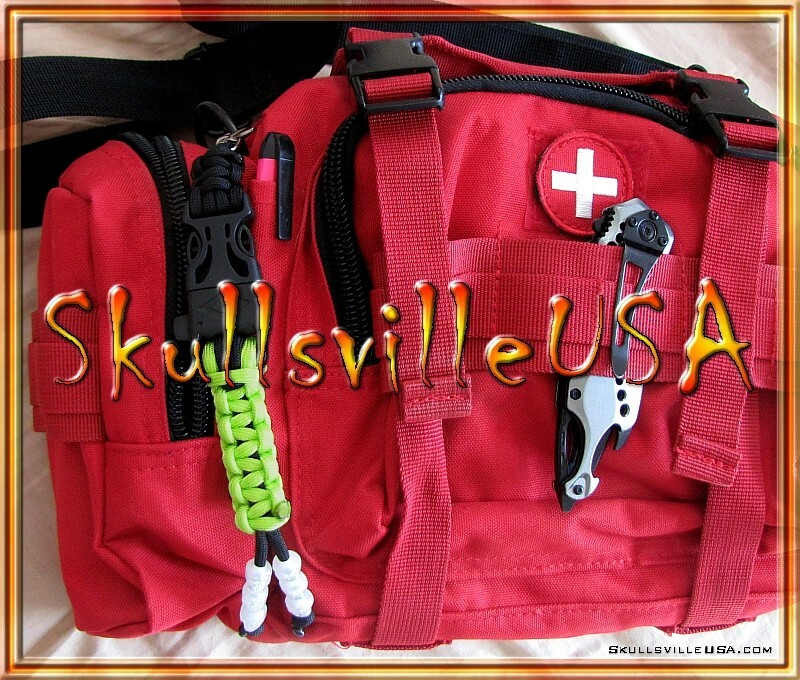 fobs for your bug-out bags, med kits or back packs. 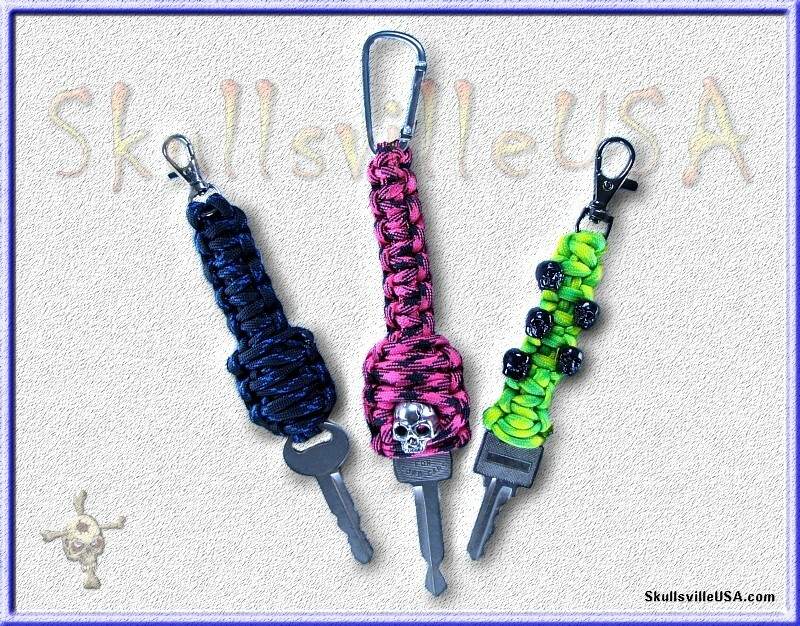 You can even use them to make key chains.